The quaint walled city of Dubrovnik in Croatia that faces the Adriatic Sea can add another feather to its cap, on top of being a UNESCO World Heritage site. 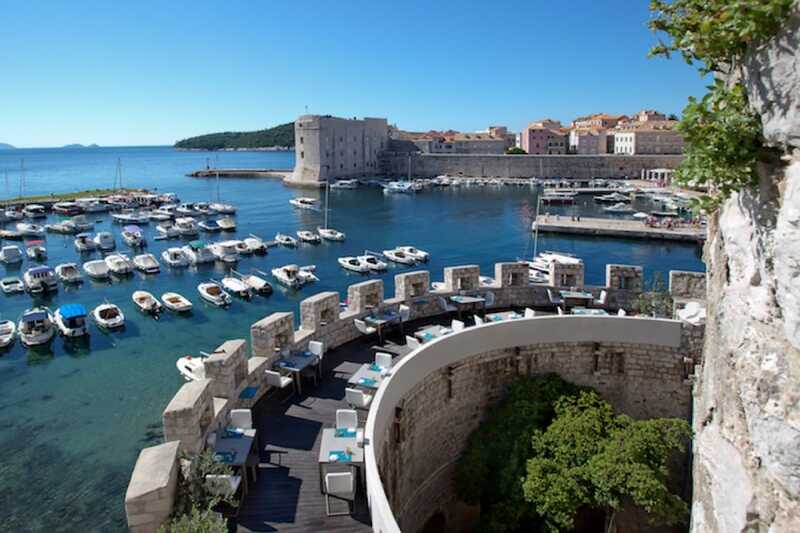 The coastal city can now boast of having its first Michelin-starred restaurant, Restaurant 360 Dubrovnik, which was awarded one star in the MICHELIN Guide Croatia 2018 in March. Helmed by chef Marijo Curić (left, main picture), Restaurant 360 Dubrovnik serves classic French food with elements of Mediterranean cuisine and seasonal ingredients from Croatia. Diners at the coastal restaurant can take in panoramic views of the iconic Dubrovnik harbour from the lookout tower of an ancient building. 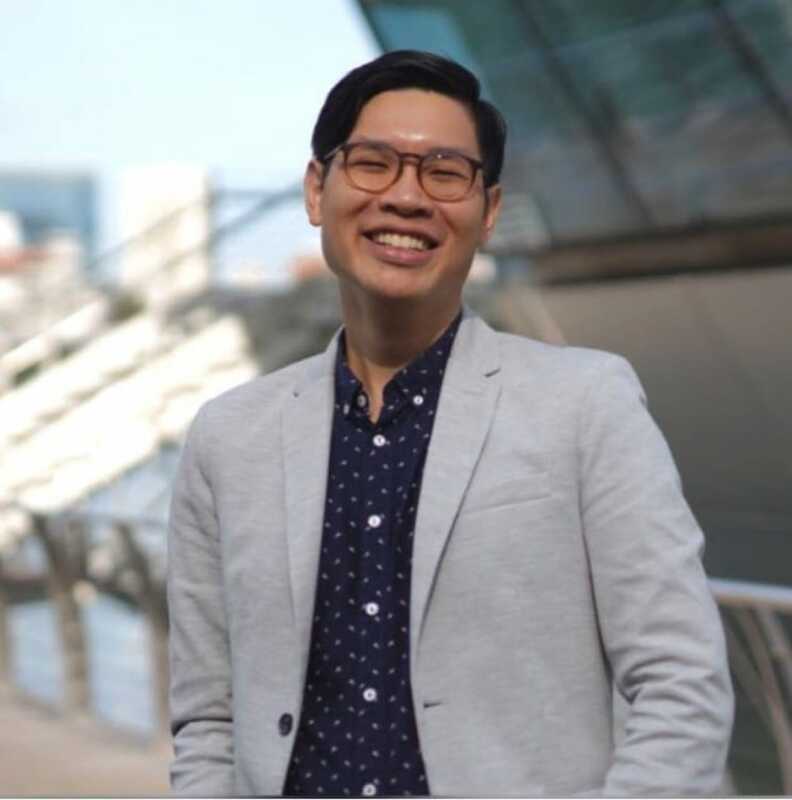 Some of the restaurant’s signature dishes include octopus with fennel cream, glazed fennel, fish soup and lemon ravioli, turbot with cream of Jerusalem artichokes, fish sauce and crab meat, and sea bass with cream of garlic and potatoes, cuttlefish, lemon cream and green sauce. Curić, who has been the restaurant’s executive chef for the past three years, has worked in top restaurants across Europe. He also honed his craft in restaurants such as Elystan Street and The Square, both in London, and Le Meurice in Paris. He is optimistic that Dubrovnik’s dining landscape will develop with the help of international tourists who throng the historic city. This year, the restaurant has launched a new Retrospective menu of Curić’s five landmark dishes that span his 10-year career. 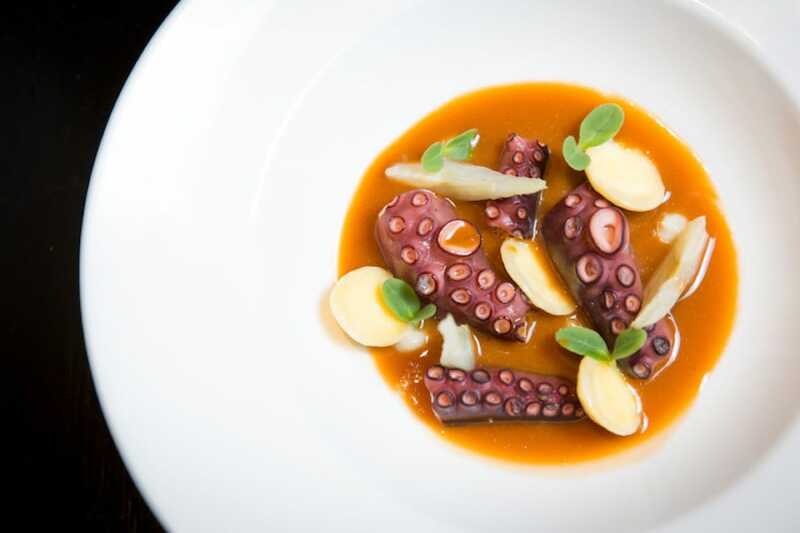 Restaurant 360 Dubrovnik, which only serves dinner, also has a new menu this year that focuses on textures and flavours with local ingredients. 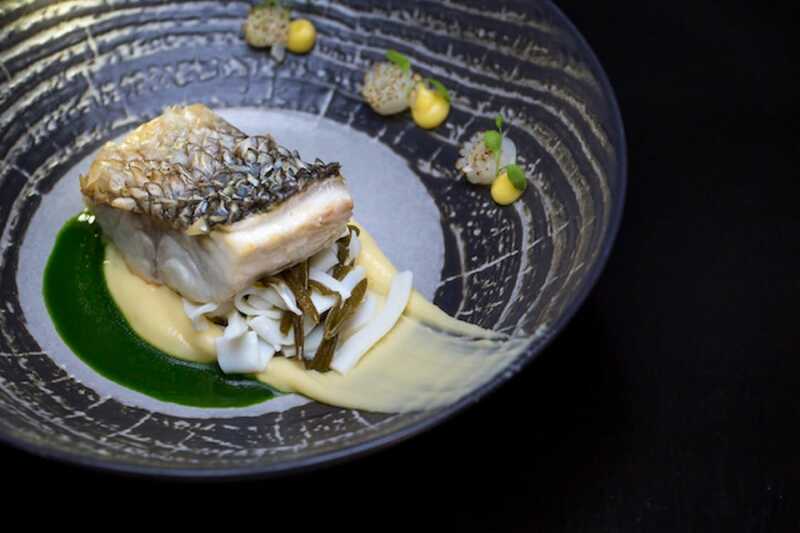 For example, the brill is served with cauliflower puree with reduced fish sauce and a crispy fin is accompanied with lemon “buzara” made of Palourde clams. The 2018 wine list, also features autochthonous Croatian wines using grape varietals like Kadarka, Blatina, and Vranac. The MICHELIN Guide only arrived in Croatia in 2017, so my first encounter with the Guides was through the French edition, and later the Italian and UK versions. The first time I held the red book into my hands was in 2000 when I was in my early 20s. However, I knew about the Michelin Guides fairly early. At 14, I enrolled in culinary school and have been involved in the F&B industry since. Subsequently, I did kitchen stages in Michelin-starred restaurants by chefs such as Marcus Wareing, Philip Howard, Yu Sugimoto and Enrico Bartolini. How did you feel when Restaurant 360 Dubrovnik received one Michelin star this year? I was at home when the news came by phone. Suddenly, spring was in my house; it was a bright and blissful feeling, but it came with a flicker of fear from the responsibility of having a star. This achievement is huge for everyone in the restaurant, from the dishwasher to general manager. We have worked hard for this; some of us have worked together for more than a decade. We do 120 covers for dinner so it is tough to maintain standards. I must stress that Croatia is struggling to get on the gastronomic map of Europe, as the working conditions here are different — from the supply chain, education of diners and the size of the fine-dining market. Therefore, getting a Michelin star has enormous importance and significance. How will having a Michelin star change the direction of your restaurant? The philosophy of the restaurant’s cuisine is based on classical French food merged with Mediterranean flavours and ingredients. We plan to keep doing this. Our audience is now global and expectations will be higher as diners become more educated and experienced. I will continue to explore more ingredients and their possibilities, and merge them with cutting-edge cooking techniques. Besides talent, much hard work and learning are required. Dishes are made from ingredients but they also need to express your feelings, heritage and background. There is a constant need to learn through doing kitchen stages and travelling. Chefs must never forget that they work for the people who come together around the table. Stay modest. One should work hard as if one wants to get a star but the goal should be not just to get Michelin stars but to have satisfied diners.